Today we’re sharing another extension of our Success Stories interviews. This interview series is from people who are sharing their story about reaching debt freedom and is appropriately named Debt Free Finally. Today’s interview is from one of our blogging friends, My Son’s Father (MSF). You might remember us mentioning him in our three-month blogging update. So it was only right that we finally built up the courage to ask him for an interview. If you haven’t had a chance to check that post out yet, we met MSF through Twitter and blogging when he decided to leave us a comment on one of our posts. So enough with the introduction, let’s get into this interview! 37 Years Old. I was born at the end of 1979, so I fall into that weird generational gap between being a Gen Xer and a Millennial. Yes, my wife is way out of my league, but I somehow convinced her to marry me. We’ve been happily married for the past 10 years and have 2 boys’ ages 7 and 6. My oldest is a carbon copy of my wife and my youngest is a carbon copy of me. Why did you want to get out of debt? I was taught at a young age that debt should be avoided. For some reason, this sage advice didn’t sink in until I found myself in a fair amount of debt. But once I woke up and realized just how bad our debt was, drastic action was taken. I hate the feeling of being indebted to someone. I’ve always been a natural saver and even as a kid I would much prefer to keep my money than buy something with it. So I’ve tried to limit our monthly bills to have as few as possible. And paying off our debts was the best way to keep the money we were earning. How much debt did you pay off? How long did it take you? So we still carry our primary mortgage but hope to be in a position to pay that off in the next few years. But if you add all the debts that we carried, our grand total was around $358,000 (this includes our mortgage). We didn’t have all that debt at the same time, but it gives you a rough estimate of what we were dealing with. We also had 2 kids during this time and my wife and I each had some medical issues that needed to be addressed. So we could easily add another $10-$12k in medical bills during our debt repayment journey. It took us about 8 years. Some years were more aggressive than others. What type of debt did you pay off? The vast majority of it was student loans, but we didn’t discriminate. We had car loans, second mortgages, credit card debt, and even some medical bills we had to pay off during that time. We started tackling our debts right around the time that we got married and our combined yearly income at that time was around $60k. It has grown steadily since that time. What was your plan for getting out of debt? I mostly followed Dave Ramsey’s plan. Reading his books and listening to his podcasts were so encouraging while tackling our debt. The one place I diverged from Ramsey’s plan was with retirement savings. This was primarily because it would take us years and years to pay off the debts. If it were only a matter of months I would have likely followed his plan to the letter. How does it feel to be debt free? This is a tough question to answer. It was different from what I thought. We were paying off debt for so long that by the time we got to the last few months, debt freedom felt inevitable. Don’t get me wrong, when we sent in our last payment, it felt great. Just not as great as I expected it too. Then the real surprise came. The weeks after paying off our debt, I felt lost. We’d worked towards this one goal for so long and when we finally achieved it I didn’t know what to do with myself. I hadn’t really thought about what came next. I eventually settled on financial freedom as my next goal, but there were a few weeks of soul searching before I got there. Yes. Our primary investment vehicle is currently our 401k’s. Shortly after becoming debt free, we upped our contribution to the maximum allowable. In the last couple of years, we’ve also maxed out our HSA accounts as well and will plan on continuing to do so as long as we are able. Next will be Roth IRA’s followed by 529’s for our 2 boys. If there is anything left over, it’ll go into a taxable brokerage account. What role did doing a budget play in you getting out of debt? 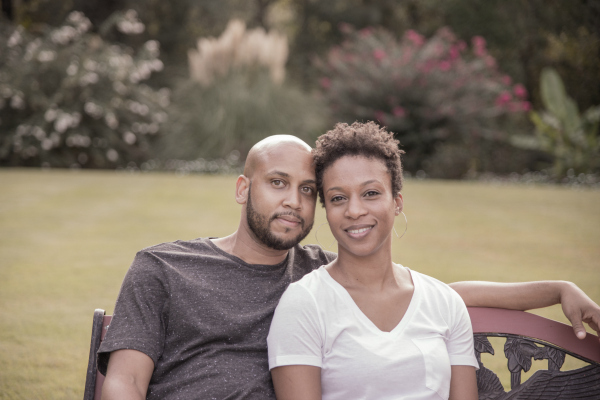 I’m a natural budgeter, but my wife is not. So when we first started paying off debt, I slashed our budget to the bone. And month after month my artfully crafted budget would fall apart. While our budget was an integral piece of the puzzle in helping us get out of debt, it served a more important purpose in our debt free journey. It helped me understand that our priorities are different. Not dramatically different. We still had the same end goal; we just had different tolerances to get there. Turns out my wife wanted to get a haircut every once in a while and buy new clothes more frequently than once a decade. What’s your focus with your money now that you’re out of debt? Is debt free spending a different feeling than spending with debt? I’m not much of a spender and have always had a really hard time spending money on most things, with the exception of food and travel. However, now that we have no debt and a decent sized emergency fund, spending money feels really different. My wife generally likes to join a gym for the few months of winter that she can’t get outside. When we had our baby emergency fund ($1000) and a mountain of debt, this was a very stressful addition to our budget. Now, I don’t even blink when I add it into our budget for those winter months. Do you plan to live a debt free life now? Absolutely! Barring some sort of medical emergency over several years that would decimate our savings, I can’t imagine going back into debt for any reason. One tip or word of advice for someone trying to get out of debt? One of the things I talk about on my site is my philosophy of change. I believe that the thing that gives us the best chance to create lasting change in our life is immersing yourself in the change you want in your life. I don’t think I would’ve been able to maintain the motivation for debt freedom had I not immersed myself in debt free materials: podcasts, books, blogs, and relationships. So my best advice is to keep reading what Kim and Omar have to say. Find other bloggers and podcasters you can relate to and fill your “entertainment hours” with reading and listening to what they have to say. And find a social group that either shares or supports your financial mission/values. Our Thoughts: Thank you so much MSF for this interview and kicking off our Debt Free Finally series. You definitely got us off to a good start. We enjoyed your interview. 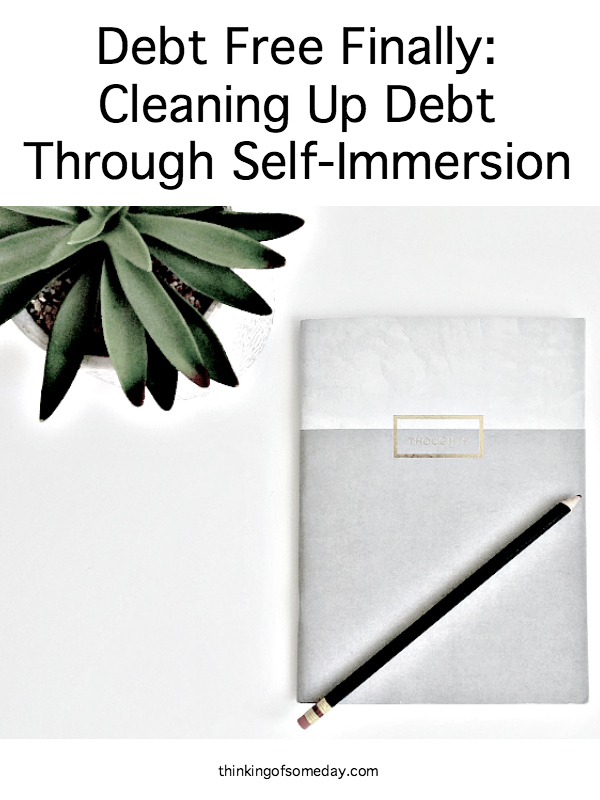 You shared some great knowledge and tips for those who are trying to get out of debt, especially the idea of immersing yourself in the change you want in your life, which in this case, was debt freedom. It’s the same thing we did during our debt free journey. If you’re not familiar with MSF, you can check him out at My Sons Father, where he talks about personal finance, family, minimalism, and life in general. Immerse yourself in the change you want in your life.